Simply hit the record button and go! 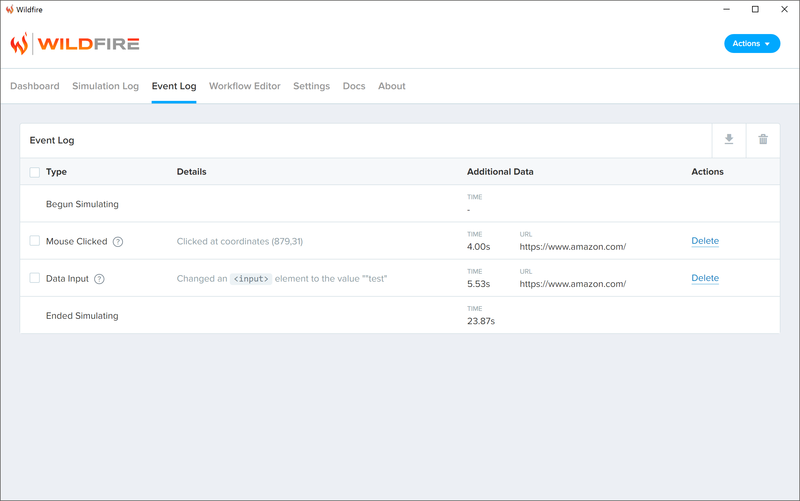 Everything goes into the Event Log so you can review the actions later. Working with a complex system? 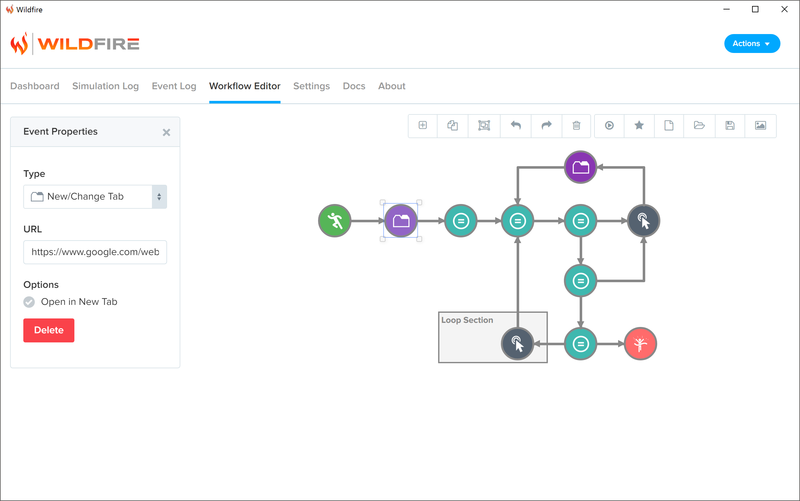 With the Workflow Editor, you can run completely different actions based on the previous steps. Everyone's different. That's why we've given you access to all the Settings you'll need to make your Wildfire experience your own. 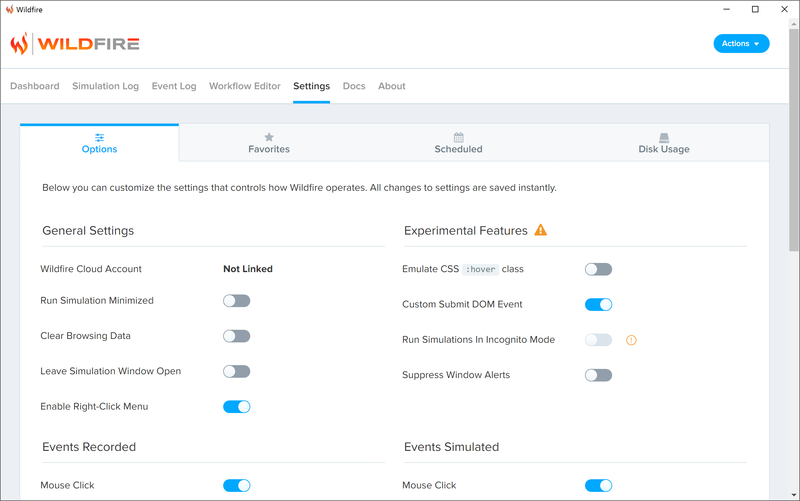 Wildfire is an extension which allows you to record your actions on the pages you visit, then replay those actions using a simulator. When actions are recorded or simulated, it produces a log which can be reviewed. You can then use the Workflow Editor to manipulate the behavior of the simulation. Popular DOM events are the primary things recorded using the extension, though special events like the opening new tabs are also recorded. Some items cannot be recorded and are only available by being added through the Workflow Editor. Everyone! Wildfire is simple enough that anyone with a boring, repetitive task will be able to automate it away and concentrate on your other cat videos important work. It also has some awesome advanced features for QA teams. Do you store my data online? Your data remains on the computer that you record your events from unless you export it and provide it to other people or you upload it to the Wildfire Cloud service. Data will never be uploaded without your permission. Copyright © 2017 Wildfire. All Rights Reserved.